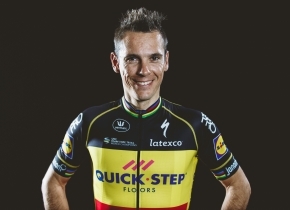 QuickStep Floors rider Philippe Gilbert spent two hours at the stage 3 doping control. The delay was caused by an empty bladder. Gilbert, one of the candidates for the victory in Monday's stage, finished in 22nd position. Nevertheless, a doping control awaited the Belgian rider who was clearly not ready and ended up having to wait for two hours, Sporza reports. "Sorry journalists, that you had to wait so long," Gilbert said. "I think I didn't drink enough today, or maybe it was because of my late sanitary break. "I didn't get bored though. I had a nice chat with the doping controllers. My evening will look a bit different now. Eat later, get a massage later, and less time to recover," he concluded. For Gilbert, 34, the current Tour de France is his eighth. His best classification was a 38th place in 2011 in which he also wore the Yellow Jersey after winning the opening stage from Passage du Gois to Mont des Alouettes.